Physitrack offers perhaps the best solution for client education through our thousands of high-quality, narrated videos and our hundreds of educational articles. We take this one step further, and allow you to actually conduct Telehealth video consultations with your clients, using our secure platform. 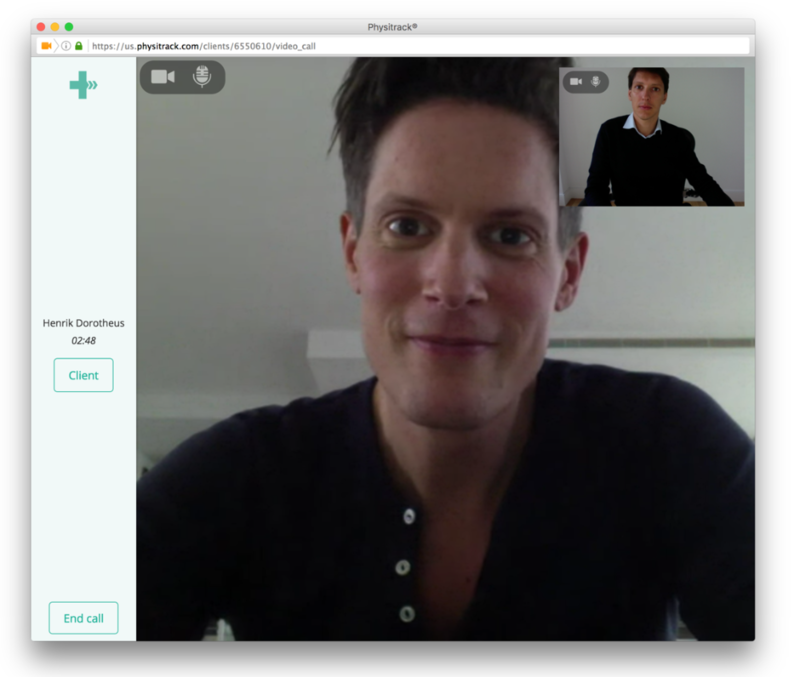 Physitrack Telehealth works on the basis of practitioner-initiated calls. Recent versions of Chrome, Firefox and Internet Explorer (note: not Safari). Internet Explorer will require the download of a free plugin. You will also need a camera and a microphone. 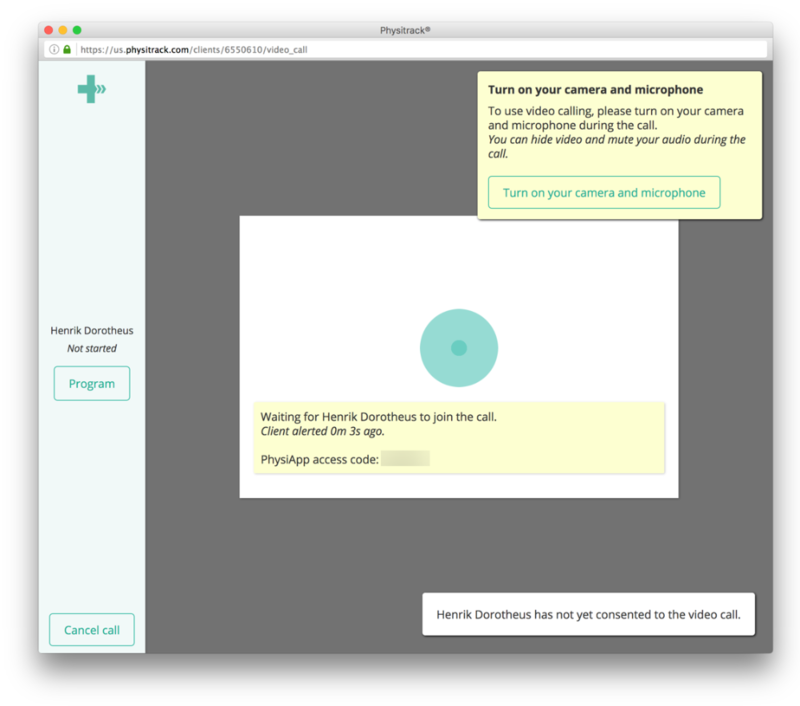 PhysiApp® web version: recent versions of Chrome, Firefox and Internet Explorer (note: not Safari), a camera and a microphone. Go to Clients and find the client that you want to call. If the client is online, you will see a call button next to his name (see below). Click the Call button. This will open the call popup. 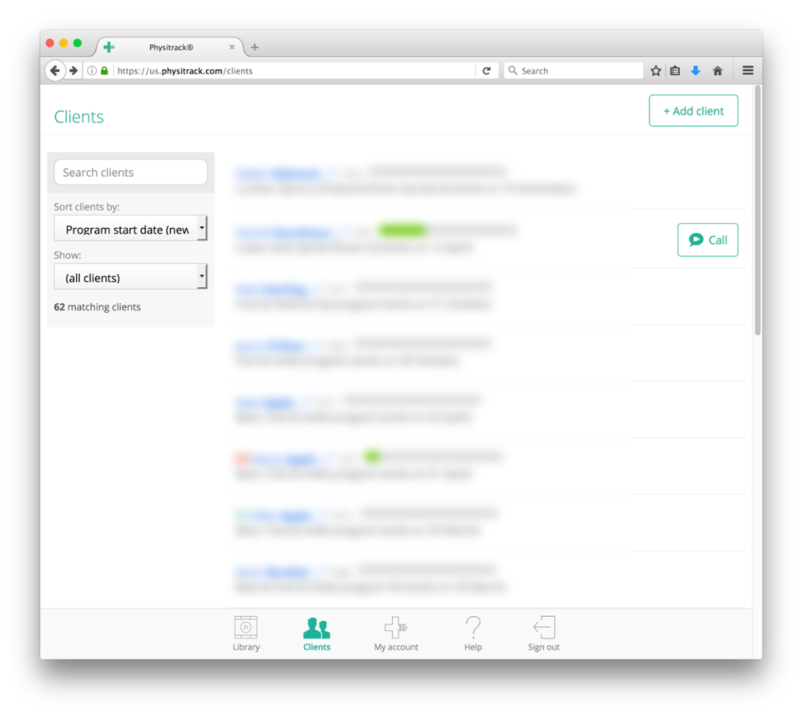 If the client is offline, click on the client to bring up the client details page. 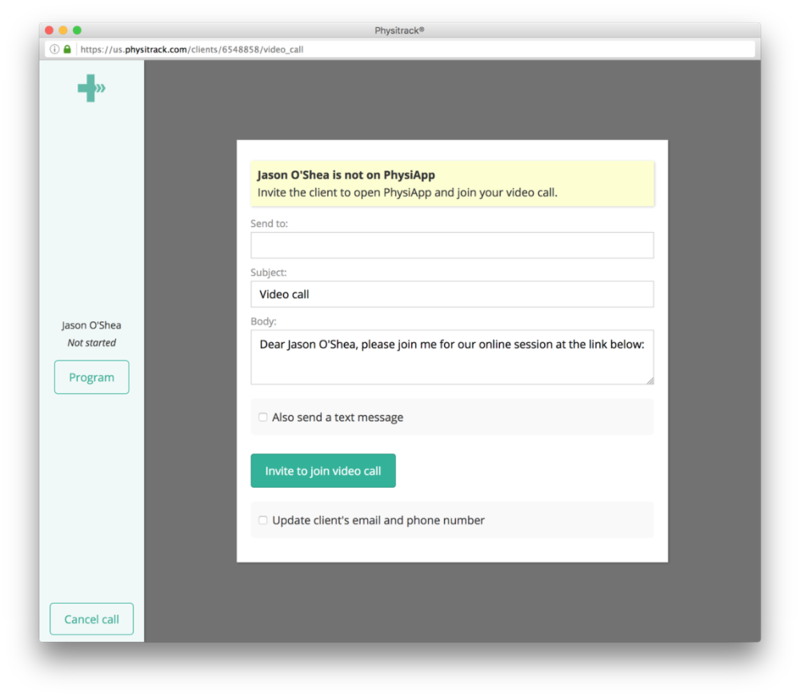 Click the "Start video call" button to send out an invitation to your client to join the call. Fill in the form to send a message (via email or text message) to the client to join your call. Click "Invite to join call". Click "Turn on your camera and microphone" and enable the camera and microphone on your computer to start sending video and audio. (You can turn off video and mute audio during the call). Wait for your patient to join the call. When your patient has joined, you will be able to conduct your video consultation through encrypted audio and video. To view and edit the client's program, simply click "Client". To end the call, simply click "End call". Note: you can conduct one call at a time. If you'd like to use Physitrack Telehealth with your clients, please email sales@physitrack.com.